Much myth surrounds St Patrick, his origin, mission and how he evangelised the Unified Signalling Firewall to drive the snakes out of mobile networks. Saint Patrick used the shamrock to illustrate simply to the unwashed, how the Unified Signalling Firewall was meant to be. SS7, Diameter and GTP. The real story however is that one day the Chief Security Officer, of a mobile network, was discussing signaling security with Patrick, a Cellusys signalling expert, over a round of golf. The CSO couldn’t understand why all the signalling security vulnerabilities needed to be processed and cross correlated with the other protocols in one Unified Signalling Firewall. Patrick looked down at the tee as he prepared to strike his golf ball with a 9 iron. He then spotted a beautiful Trifolium dubium, the wild-growing, three-leaf clover that botanists consider the official shamrock. Patrick leaned over and gently picked the shamrock. Patrick then held the shamrock up and used its three leaves of a shamrock to explain to the CSO what the Holy Trinity in Signalling Security was: the SS7, the Diameter, and the Holy GTP. All separate protocols, but in unison, providing best practice signalling security. Patrick now inspired, proceeded to continue his evangelism and spread the best practice security measures using the shamrock to simplify the Unified Signalling Firewall. 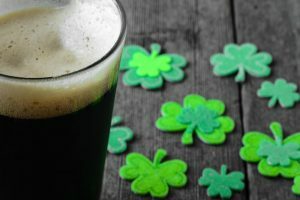 Today, St Patrick’s Day revelers wear a shamrock, signalling protection from denial of service attacks, call interception, SMS interception and location tracking of subscribers in mobile networks. 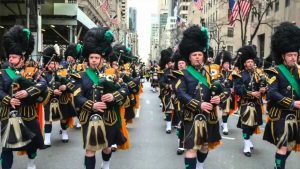 As they say, the rest is history and the Unified Signalling Firewall is now celebrated in Irish bars and with parades around the world each year on March 17th. 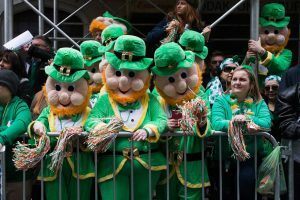 But people in Ireland hoping to wear an authentic shamrock may be out of luck this year. To make up for the shortfall, many sellers are resorting to other three-leaf clovers, such as the perennials Trifolium repens and Medicago lupulina. As with bogus shamrocks, be aware of bogus signalling security as its not always obvious to spot. Be sure to be sure and opt for St Patrick’s Unified Signalling Firewall to protect your mobile network.